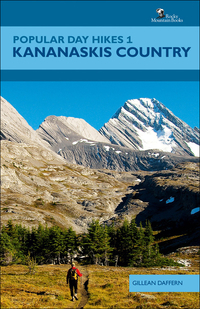 Kananaskis Country covers 35 popular day hikes in this mountainous recreation area west of Calgary. 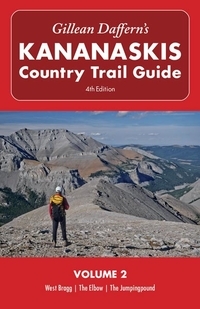 Alberta’s faourite destination of outdoor enthusiasts, Kananaskis Country offers a wide range of choices, from easy, short day walks to ridgewalks—with a pitch or two of easy scrambling. There is something here for everyone. 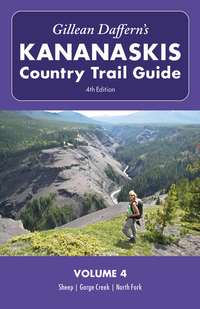 Gillean Daffern has been writing and publishing bestselling trail guides to Kananaskis Country for over 30 years, ever since the dawn of K Country in 1978. She was exploring the area well before then, too, so she knows it intimately and in every season of the year. She also travels to mountain areas outside of Kananaskis Country, and in particular enjoys visiting countries off the beaten tourist path. Gillean is the founder of Rocky Mountain Books and, along with her husband, Tony Daffern, was awarded the Banff Mountain Festival’s Summit of Excellence Award in 2006.